Meanwhile my host, Mike, had completely covered the primer on his copy. He invited me back to the show next Sunday to finish the model, so I decided to catch up. I doubt I will actually be finished but at least I’m not way behind. I’m experimenting with adding subtle tones to the different “black” areas of the model to create more contrast. Not much to look at now but I will update next week. I also intend to do his lance in a dark non-metallic metal, should be an interesting challenge. I’m looking forward to Sunday, but first LVO (Las Vegas Open)! If you’re going to be there come find us, we will be demoing Friday and Saturday afternoons. 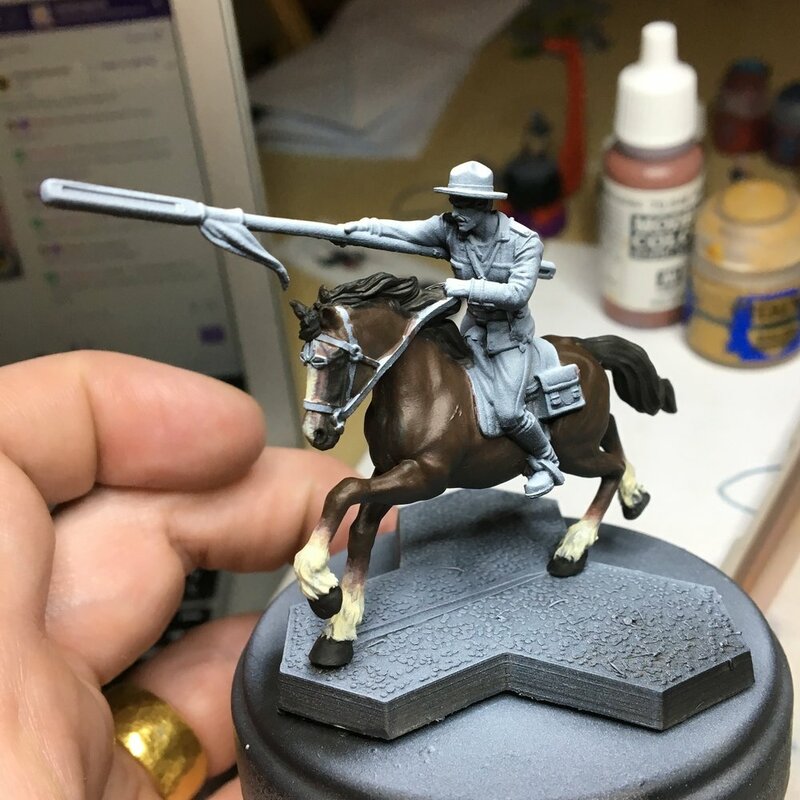 I like the way the horse is coming along. How’s he looking?